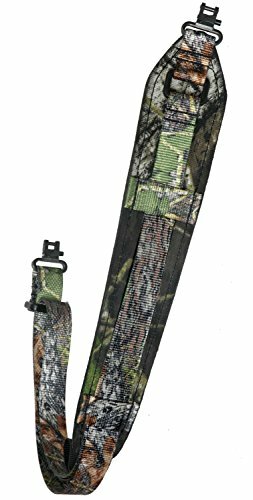 The Outdoor Connection original padded super is a Mossy oak Breakup standard rifle sling. It is made out of nylon padded material. This rifle sling does include swivels. It is 20.25 inches long.